Governor Brown Grant More LWOP Commutations for Mother’s Day! Please join with the California Coalition for Women Prisoners in asking Governor Brown to commute more women, men and transgender people with LWOP sentences for Mother’s Day 2018. Below is a short message you can email to the Governor’s office at the address below, or create your own message. Please bcc info@womenprisoners.org on your message. In the spirit of all mothers who give birth with love and hope in their hearts, I ask you to offer a living chance to the 5,000 people in California’s prisons who have been sentenced to Life Without the Possibility of Parole (LWOP). I applaud the historic number of LWOP commutations that you have granted and hope that you will continue to recognize that people have the capacity to change, grow and be rehabilitated, which an LWOP sentence denies. This powerful new video speaks to the urgent need to #DROP LWOP! I look forward to your Mother’s Day 2018 Commutations! Support the Family of Denise Gomez! Please join CCWP in helping Denise Gomez’ family raise money for her funeral. Denise died by suicide two weeks ago while incarcerated at the Central California Women’s Facility. CCWP had the honor of partnering with Denise on a health-fair at CCWF last year. 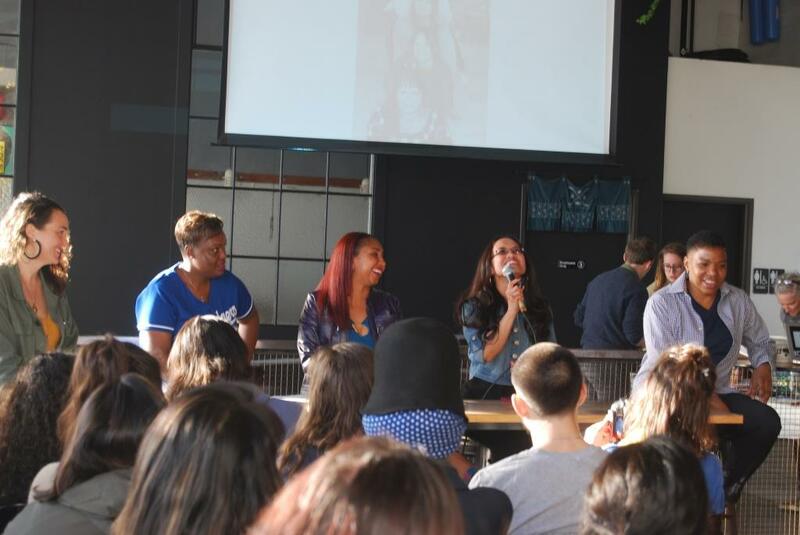 Denise spoke powerfully at the health-fair and contributed to her community in many ways. We join a large network of people inside and outside of prison grieving Denise’s loss and demanding an end to prison conditions that continue to lead to tragic and preventable deaths. 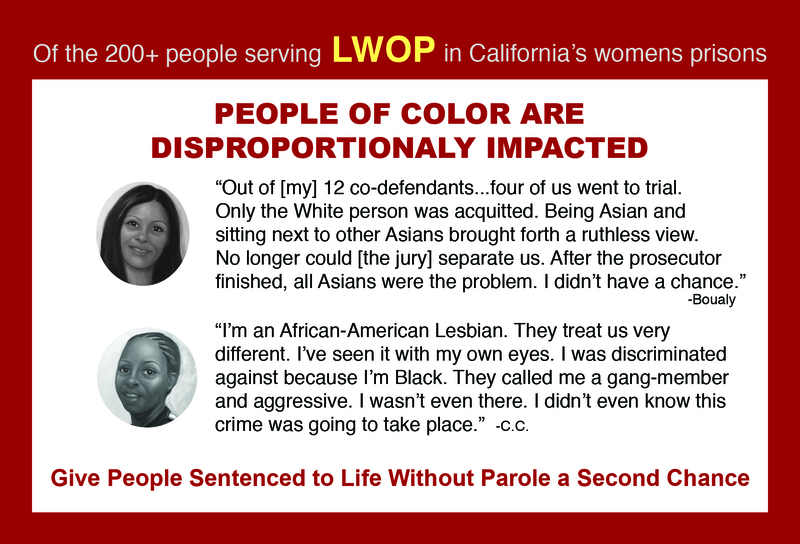 This statement was produced by A Living Chance: a storytelling project of California Coalition for Women Prisoners (CCWP), created with women and transgender people serving Life Without Parole (LWOP) sentences. This statement reflects conversations with our partners inside prison whose voices are too often omitted from public discourse on measures that directly affect them. When the death penalty was temporarily banned from 1972 to 1976 by a U.S. Supreme Court ruling all people then on death row had their sentences overturned or converted to life. Many of these people successfully paroled and are now contributing to their communities. We believe that as a society we must choose to reject death penalties of all forms. Although we are dismayed that this option is not on the November 2016 ballot, no matter what happens on election day we will continue the fight to abolish the death penalty and LWOP!